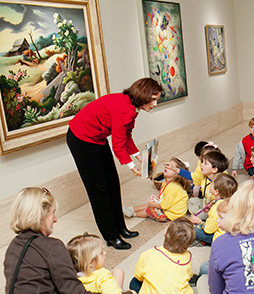 Volunteering at the Cummer Museum supports arts and education in the community. Volunteers engage and inspire patrons while enriching their own lives. Through volunteer service, individuals gain valuable experience as well as receive free admission, a monthly email of the calendar of events, and exposure to Northeast Florida’s largest museum. 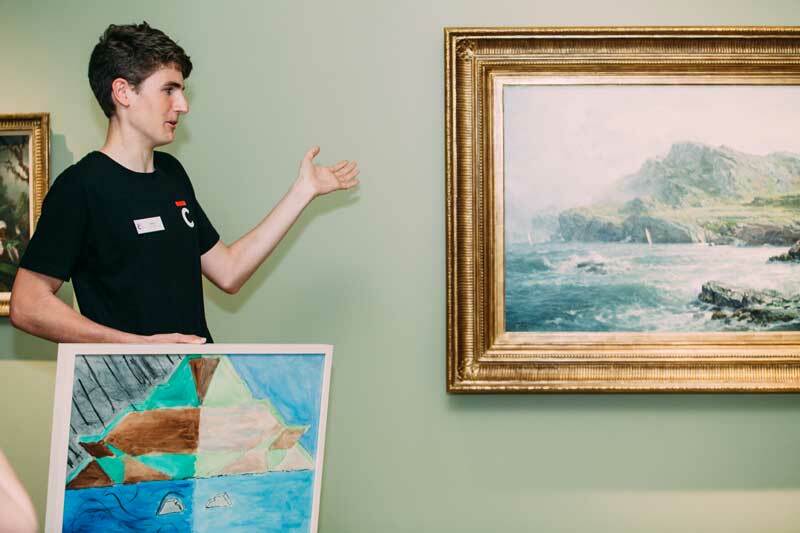 The contribution of volunteers is essential to the health and vitality of the Museum. Applications should be received no later than August 1 (fall semester), November 15 (spring semester), and March 15 (summer semester). The purpose of this internship is to provide students with hands-on experience in donor development and fundraising for an art museum. This internship will offer the student an opportunity to do professional-level work under supervision in areas such as: drafting donor contribution acknowledgement letters and donor reports; corporate giving research and reporting; Altru database management and reporting; and grant research, reporting, and editing. The purpose of this internship is to provide students with hands-on experience with cataloging the Museum’s institutional archives. This internship will offer the student an opportunity to do professional-level work where the student will be responsible for creating records, summarizing and implementing keyword searches, and proper handling and storage of archival documents. The purpose of this internship is to provide students with hands-on experience with museum registration and curatorial research. This internship will offer the student an opportunity to do professional-level work under supervision in areas such as: art handling, inventory procedures, exhibition installation, condition reporting, label writing, and research. The purpose of this internship is to provide assistance with the Education Department’s daily programs while obtaining a basic understanding of Museum Education. 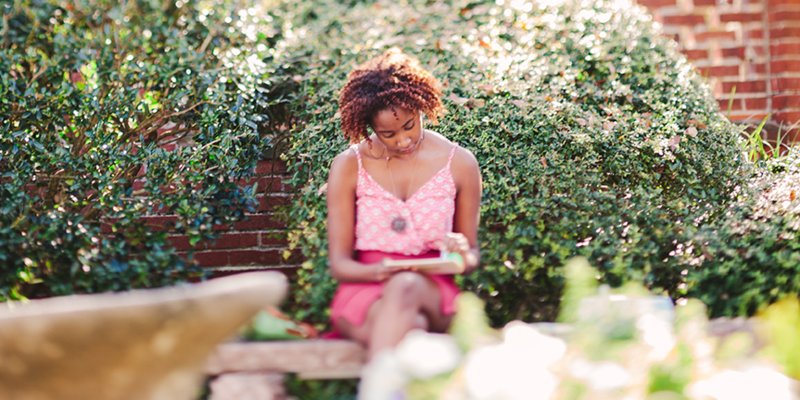 This internship will culminate with a capstone project that involves creating an interpretative tool for the Museum’s permanent collection or gardens. The purpose of this internship is to provide assistance with administering assessment tests and compiling responses for the Weaver Academy of Art, the Garden-Based Learning Initiative Program, and the Visitor Experience Master Plan. Additionally, the intern will assist with instruction during outreach sessions and school tours. The purpose of this internship is to provide students with hands-on experience in marketing and public relations for an art museum. This internship will offer students the opportunity to do professional-level work under supervision in such areas as writing, website maintenance, media auditing, media relations, special events, and executing marketing and advertising campaigns. 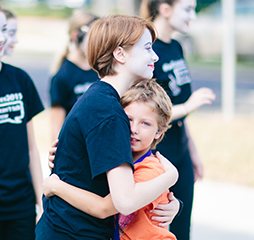 The Arts4All Festival (formerly VSA Festival) takes place the first week in May and serves nearly 2,400 students, teachers, and guardians. To properly serve Festival participants, the Museum needs 1,200 volunteers to help staff Art Stops (hands-on activities throughout the galleries) and to guide groups of students through the galleries, gardens, studios, and Art Connections. The 2019 Festival will take place Tuesday, April 30 through Friday, May 3, 2019. Each full day will run from 8:30 a.m. until 1 p.m.. Volunteer check-in will begin at 8:30 a.m. and the mandatory orientation will begin promptly at 9:00 a.m.. Please note, due to staffing and planning, the Museum does not accept walk-in/unscheduled and late volunteers. All volunteers must be registered and scheduled prior to the Festival. Volunteers are invited to stay for a free lunch at the conclusion of the day’s events. We are no longer accepting volunteers for the 2019 Arts4All Festival. Adult volunteers are asked to dedicate a minimum of four hours a month for a calendar year on a flexible schedule to the Museum. Volunteers engage members and guests by assisting with exhibitions and special events, and communicating and interacting with a diverse audience. Behind-the-scenes adult volunteers assist Museum staff with administrative and clerical tasks as well as educational preparation. Computer skills are welcomed, but not required. Adult volunteers receive free admission, as well as the benefit of connecting with like-minded individuals. If you are interested in becoming a volunteer, please contact Volunteer Services at volunteers@cummermuseum.org. Applications will be available when opportunities arise. Teens assist with Camp Cummer during the summer. Teens must be at least 15 years of age and available to commit to a full week of camp during the summer. By volunteering at the Cummer Museum, teens gain valuable leadership skills as well exposure to arts education. Applications will be accepted until June 1, 2019. The Cummer Museum can accommodate groups of volunteers from 5-25 individuals. Activities for team building, community engagement, and give-back projects throughout the year can be organized. Dates for the activities are scheduled in advance to allow ample time to plan for an enriching experience. If you are interested in volunteering as a group, please contact Volunteer Services at volunteers@cummermuseum.org. The Docent Corps is an integral part of the Cummer Museum. 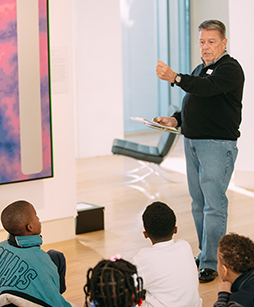 Docents are dynamic, dedicated Museum volunteers with diverse backgrounds who lead tours of the permanent collection and temporary exhibitions for school-aged children and adults. No previous teaching or art history experience is required as Docents attend monthly training sessions with Museum staff in order to learn about school tours, the history of the Cummer family, the permanent collection, and the gardens. Once training is completed, Docents make a weekly commitment of their time that makes the Museum’s tour programs possible. If you are interested in becoming a member of the Docent Corps, please contact Docent Relations at 904.899.6003 or Docents@cummermuseum.org. This program enables middle and high school students to learn about the permanent collection through research, hands-on exploration, and group interaction, allowing them to share their knowledge with visitors through discussion and demonstration. These bright young adults are some of the Museum's most important volunteers. 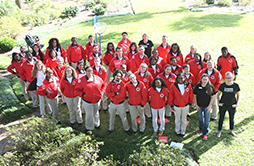 If you are interested in becoming a member of the Junior Docent Corps, please call 904.899.6005 or contact Juniordocents@cummermuseum.org. Sponsors: City of Jacksonville; Cultural Council of Greater Jacksonville, Inc.; Woodcock Foundation for the Appreciation of the Arts, Inc.